Pope Francis is seemingly putting on a new hat, an institutional one. At a time when conclusions are being drawn from the reform process started under Benedict XVI and continued by his successor, Pope Francis is counterbalancing the weight of external consultants who, one way or another, have featured prominently during the first months of the Pontificate. Two appointments this past week would signal that Pope Francis is placing his trust on internal experts, people who already work for the Holy See and who are very well acquainted with the Holy See particularities and thus able to carry out the reform process. Vincenzo Buonomo, professor of international law at the Lateran University, is now Advisor to Vatican City State. The other appointment is that of Monsignor Giorgio Corbellini, law expert and President of the Labour Office of the Apostolic See, as ad interim President of the Vatican Financial Information Authority, the Vatican’s financial watchdog. In many ways, Buonomo’s appointment was expected. He is an international law expert, and works for the Holy See since 1983. He has been actively involved in the Vatican’s interactions with the Food and Agriculture Organization and related U.N. bodies. Furthermore, on January 16, he was part of the Vatican delegation presenting a Holy See report on children’s rights before the U.N. Committee on the Rights of the Child. His appointment as Advisor to Vatican City State formally confers on him work responsibilities he was already fulfilling. His appointment also represents a sign of institutional continuity. Buonomo had been a skilled collaborator of Secretary of State (now emeritus) Tarcisio Bertone. He also curated the book compiling the diplomatic speeches that Bertone delivered as Secretary of State. 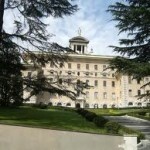 A new president for the Vatican Financial Information Authority was equally expected. On 21 November 2013 the new statute of the Authority came into effect, with several novelties. The most relevant one is that the president of the Authority is now described as “president of the board of directors”, with a more limited scope of responsibilities than in the first statute. The Vatican Financial Information Authority, and in general the Vatican financial structures, have been improving their laws and balancing their powers in order to be ever more adherent to international anti-money laundering standards. Monsignor Giorgio Corbellini was considered a good match for the post, given his extensive experience at the Governatorate of Vatican City State, first as head of the office of juridical matters and, later, as Vice Secretary-General of the Governorate of the Vatican City State, i.e. 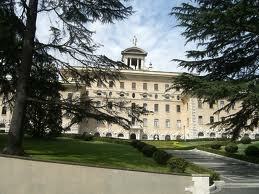 the number three at the Vatican City State administration. Monsignor Corbellini is well acquainted with the financial transparency process that began under Benedict XVI. When the Holy See signed the “Monetary Agreement” with the European Union on 17 December 2009, Monsignor Corbellini was the number three of the Vatican City State administration. The path to the agreement was not easy. The split between the European Union and the Holy See became so deep that Monsignor Carlo Maria Viganò, then the number two of the Vatican City State administration and now Papal nuncio to Washington, even proposed to withdraw the Holy See from the Eurozone. The proposal did not prosper because the Holy See would have had to assume the high cost of coining and printing its own currency. Monsignor Corbellini was still Vice Secretary-General of the Governorate when the Council of Europe’s MONEYVAL evaluators came to the Vatican 21 November 2011 for their first on-site visit. The visit was part of the regular procedures for the evaluation of the financial system of any country that undergoes a MONEVYAL evaluation. The evaluators identified some flaws in the anti-money laundering law. It was then substantially revised. The new Vatican anti-money laundering law (issued via a Governatorate decree on 25 January 2012 and confirmed on 25 March 2012) was «decisive for the MONEYVAL generally positive evaluation of the Holy See financial system,» according to Monsignor Ettore Balestrero, who served as Vatican Undersecretary for the Relations with States during the first part of the MONEYVAL process. These are the reasons why Corbellini was called to replace Cardinal Attilio Nicora, who prompted the Holy See to take its first steps in the path toward financial transparency. Nicora is now over 75 years old, the retirement age. It is noteworthy that Corbellini has been appointed president “ad interim”. This gives Pope Francis a certain freedom for eventual further changes. There are many “ad interim” fillings of posts under Pope Francis: the Secretary of the Italian Bishops’ Conference, the Prelate of the Institute for Religious Works (IOR, the so-called Vatican Bank), and the very President of the Vatican Financial Information Authority. Each ad interim appointment responds to different circumstances. At the same time, each “ad interim” appointment must be considered in the light of an on-going reform, and this is why the Pope does not want to be “bound” by selections for the traditional 5-year mandates. For this same reason, Pope Francis chose to confirm, until the normal expiration of their terms, officials holding positions in congregations and pontifical councils. He did not renew their terms for new five-year periods from the time in which he re-appointed them. In anticipation of the next meeting of the Council of Cardinals, to be held on February 17-18, it is widely rumored that a first draft of a project for the reform of the Curia will be ready within a couple of months. According to sources, there will not be any structural changes. The reform should just streamline structures, merging some Vatican dicasteries into Congregations to improve the efficiency of the Curia. Regardless, nothing should change in terms of principles, and the cardinals would keep the general design of the Pastor Bonus, the Apostolic Constitution that regulates the functioning of the Roman Curia. Pope Francis seems to share this view. He wanted to expand consultations, and appointed two advisory pontifical commissions (on the IOR and on the rationalization of expenses). The two commissions are now part of Alfred Xuereb’s responsibilities, who serves as the personal delegate of the Pope in them, and is also a well-known and esteemed long-time servant of the Holy See. Pope Francis initially gave a lot of latitude to external consultants (Promontory Financial Group and KPMG on financial issues; Ernst & Young and McKinsey on communication issues), but now he has seemingly reassessed this approach and placed responsibility over these matters on a sort of “counselors of State,” people within the institution. Even if Pope Francis seems to be adjusting the relative influence and power of different actors within the institution –because ultimately it is impossible to reform the Curia without counting with the Curia– it is yet to be seen if the people the Pope is choosing represent a step forward or a step back. The media has started the damnatio memoriae of Benedict XVI’s pontificate. The news of Corbellini’s appointment has been greeted as the dismantling of the highest levels of the financial structures that Benedict XVI established, and Nicora accused of several conflicts of interests. In fact, those conflicts of interests were part of a collegial vision of the Church. According to this vision, those with particularly relevant sets of skills should serve simultaneously in different dicasteries, if these dicasteries shared responsibilities over a given issue. This would facilitate dialogue within the Curia. However, with respect to finances, this approach is not appropriate, and this is the reason why Vatican finances have undergone important changes. This is not a dismantling of top structures. It is just a turning of the page, possible thanks to the work of Benedict XVI. Monsignor Corbellini has been sponsored by the “Curia of the old days.” The same is true of other appointments, which could point to a vindication of the diplomats’ faction led by Angelo Sodano, Secretary of State Emeritus and Dean of the College of Cardinals: the diplomats lost power and influence under Benedict XVI, and now they are set to re-gain them. Corbellini was also indirectly involved in the Vatileaks scandal, taking part in a TV show on the “Viganò case”. However, one cannot look back forever. Corbellini has accepted the interim presidency of the of the Vatican Financial Information Authority. There should be no unpleasant surprises. 2 Responses to From external consultants to consultants from within. Is Pope Francis becoming “institutional”? I am very glad to hear you say that there will not be the radical decentralization of the Holy See’s magisterial authority and powers to the bishops’ conferences, and no overturning of the structure of Pastor Bonus, notwithstanding Cardinal Maradiaga’s loud words. The Holy See is necessary to preserve the doctrinal unity of the faith. According bishops’ conferences doctrinal authority at this time when Catholic moral teaching is under strong attack from a pagan anti-Christian culture would be disastrous.